Petition Help Get Mac Mart To The (Reading Terminal) Market! Help Get Mac Mart To The (Reading Terminal) Market! 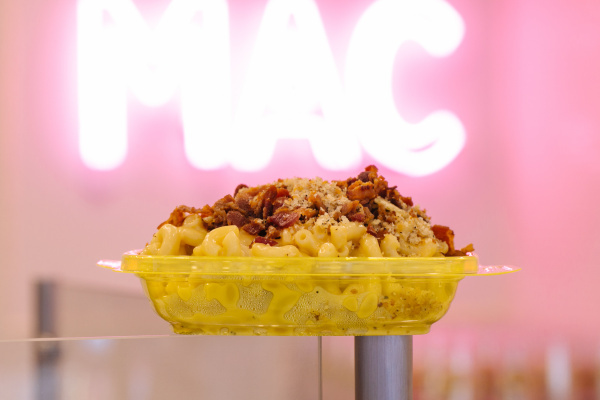 Attention all Philadelphians, Friends, Family, visitors & Mac Mart Lovers alike: We need your help in turning a Mac Mart dream into a reality! Reading Terminal Market has always been a goal for our small Philadelphia-born and raised business. It was in 2013 that we first opened our Food truck window with the hopes of one day expanding into RTM. For us, it was important to execute our food in small spaces, to large crowds, in a timely manner, with reasonable prices. These standards come hand in hand with making sure we always give the best customer service while delivering a consistent quality product made from ONLY the best ingredients and 7 REAL cheeses. Philadelphia born & based small business. One of a kind concept to our city and nothing like it at RTM! Countless accolades & list-makers for our hard work & deliciously cheesy product! We would bring all of our current loyal customers, regulars and visitors from around the world to the Market. Top quality of ingredients is our “normal” standard. We would love to utilize the neighboring merchants as some of our suppliers to maintain that standard while also supporting other small businesses. Large social media presence with personal interaction with all of our customers & Mac fans GLOBALLY. Fair price points while always offering customers incentives & promotions to show our gratitude. 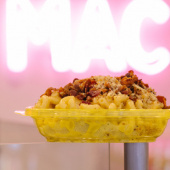 You simply LOVE our 7 Cheese Mac’n Cheese and would be a loyal customer at our Market Location! Along with your signature, please feel free to comment and post why you think Mac Mart should be a merchant that you would visit at the Reading Terminal Market. Thank you all for your time and help. We hope to make this small cheesy dream of ours a reality we can share with all of you!